Costume includes one printed design top. Available in sizes Small, Medium, and Large. Slytherins have a reputation for being sly and cunning. Rather than sly and cunning, they are observant and clever. They are the most loyal people you have ever met and will do anything for their close friends. 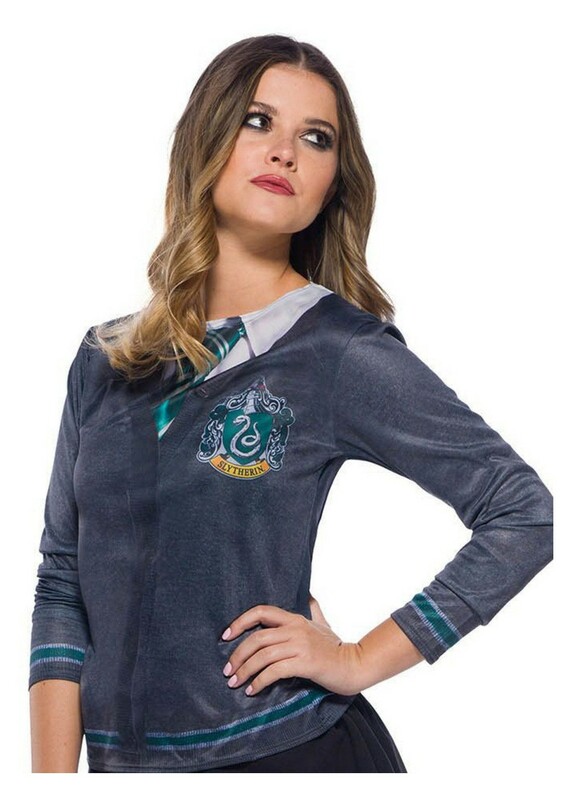 Become a Slytherin student with this uniform top. Review(s) for " Harry Potter Women's Slytherin Costume Top"